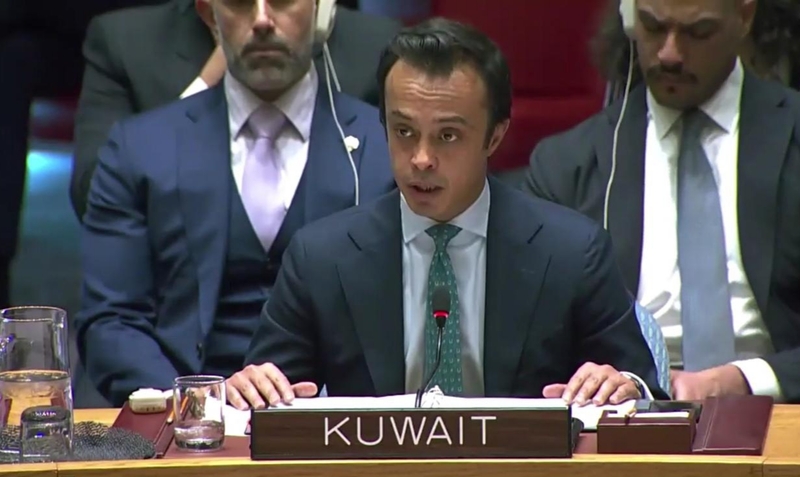 NEWYORK, March 20 (KUNA) -- Kuwait called Wednesday for a world free of nuclear weapons, stressing on the major risk and dangers in the spread of such weapons. This came during a speech delivered by Kuwait's Permeant Representative to the UN Nawaf Al-Ahmad to Security Council's session on UN Security Council committee (1540). Al-Ahmad affirmed on the importance work of the committee in preventing individuals and terrorist parties from possessing, manufacturing, or transferring all kinds of mass destruction's weapons. Al-Ahmad mentioned 1540 Committee agenda 2019, which considered strategic planing in order to prohibit owning any kind of these weapons, aiming for a sustainable and peaceful future. The committee also shed light on the role of civil society in preventing these weapons, he added. "Our goal is to develop work needed for the committee and its four group's effort by co-operating and activating the national and regional mechanisms at all levels", he added.